Have you been asked to emcee an event? If so, what you do between now and then will make all the difference. If you don’t want to fumble awkwardly on stage or humiliate yourself with bad jokes, then you need to plan well in advance. 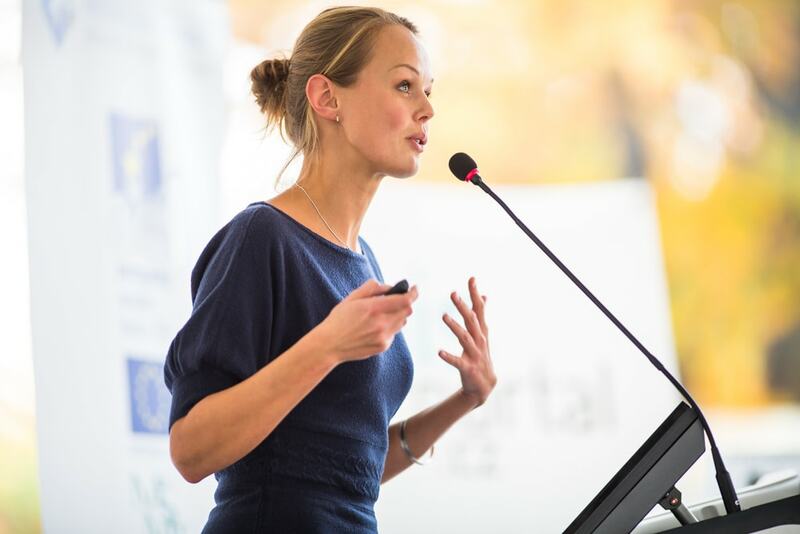 To ensure your presentation energizes the room and connects with the audience, follow these seven tips for emceeing like a pro. Knowing who you are presenting to is key. Why? Because the tone and audience for a wedding is very different than that of a gala or business conference. When you’re the emcee, it’s important to understand what type of audience you will be presenting to and what they would like to hear. There may be times where you need to improvise when on stage but for the most part, the presentation should be well planned and practiced. To ensure everything goes off without a hitch, make sure everything is set up and tested well in advance of the event. It’s also wise to carry a list of announcements that need to be made and the names of who to contact in the event of a tech issue or medical emergency. It’s true what they say about first impressions — they can make or break you. The first few minutes of your speech will set the stage for the rest of your show. If you start by mumbling, fidgeting, and making awkward jokes, it will only set an uncomfortable tone for the rest of the event. You need to come out confident with an engaging script that will set the tone for the rest of your show. You’d be surprised at how many emcees forget to introduce themselves and explain why they were selected to host the event. Let the audience know what you do and your relation to the cause. This allows you to immediately connect with the guests, and if they deem you important, they will likely remain interested in what you have to say. As an emcee, it’s your job to put some life into the event that you’re hosting and to showcase why the event is a special one. If you’re there to emcee a wedding, talk a bit about what makes the bride and grooms connection so special. If you’re hosting a charity event, explain why the cause is the most important one of the year. It’s your job to give meaning to the event and get people excited to be there. If you just talk the whole time, people are bound to get bored. Instead, get the audience engaged by asking questions or poll them on a topic. For instance, at a wedding, you could ask for a show of hands of who in the room has been married for more than 20, 30, 40 years. Then ask for the guests to applause them. Audience interaction can help lighten up the mood in the room and keep people engaged the whole way through. People are likely to remember your closing statement more than your opening, even years down the road. So make sure to craft a big closing speech that will leave everyone with something to remember, like a group activity, question, or last dance. At Centurion Conference and Event Center, we have everything you need to host your next event without hassle. Contact us today to learn more about what we have to offer.